It's occasionally convenient to discover genuine age and days between two dates. 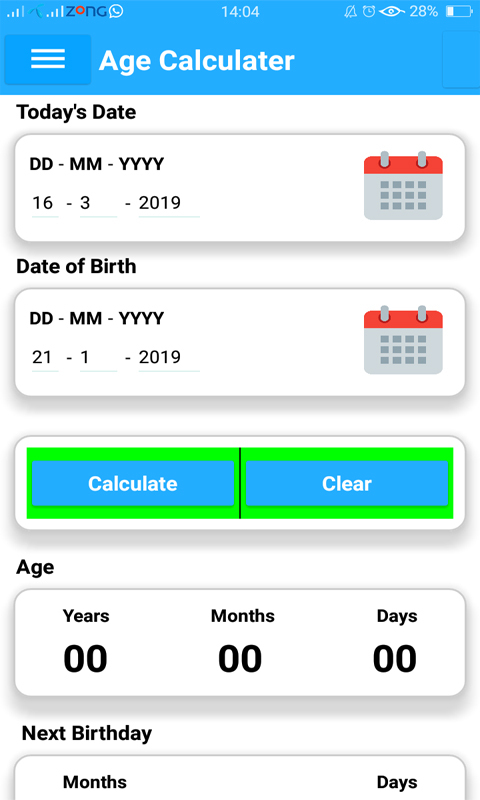 This is a simple age adding machine to figure your real age and discover days between two dates. 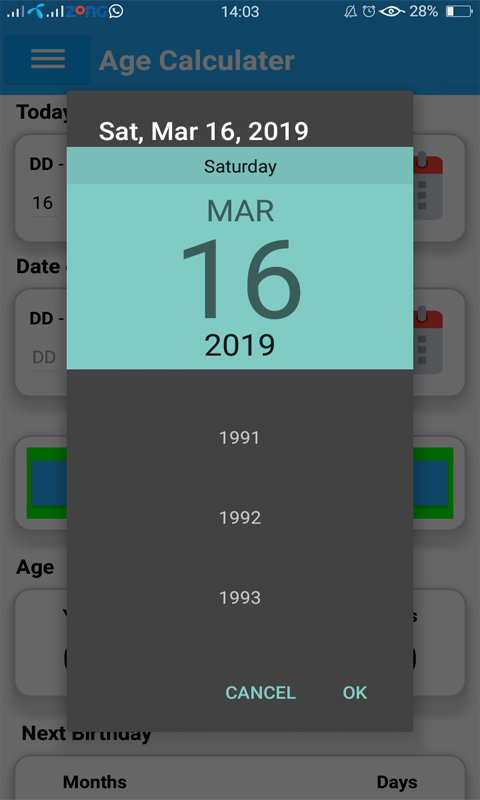 Presently, It's without issue to discover your age, how long you are living and remaining days until your next birthday. 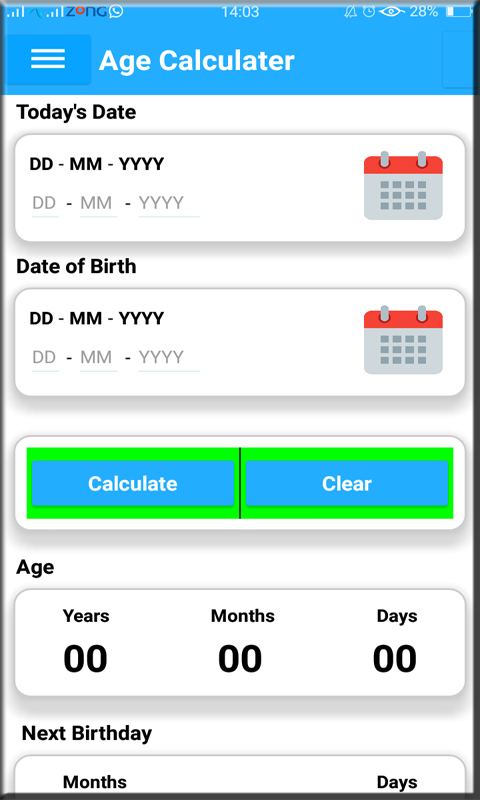 Features:- - Calculate your ideal age in years, months and days. 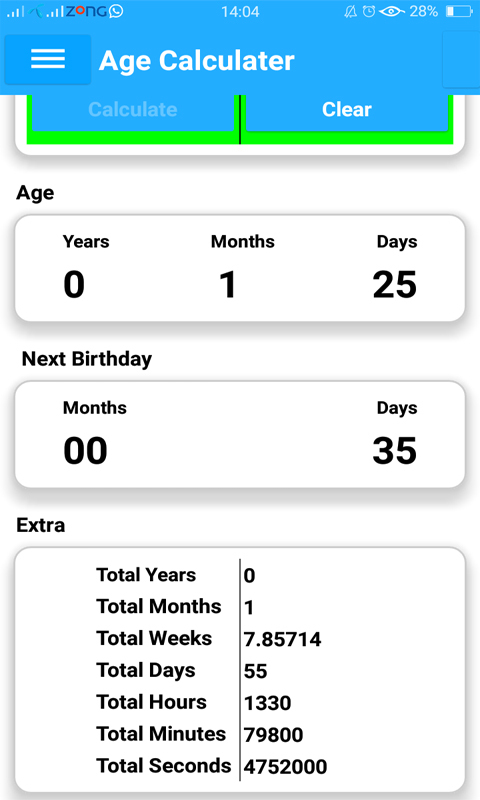 - You can discover how long and days to go for your next birthday. 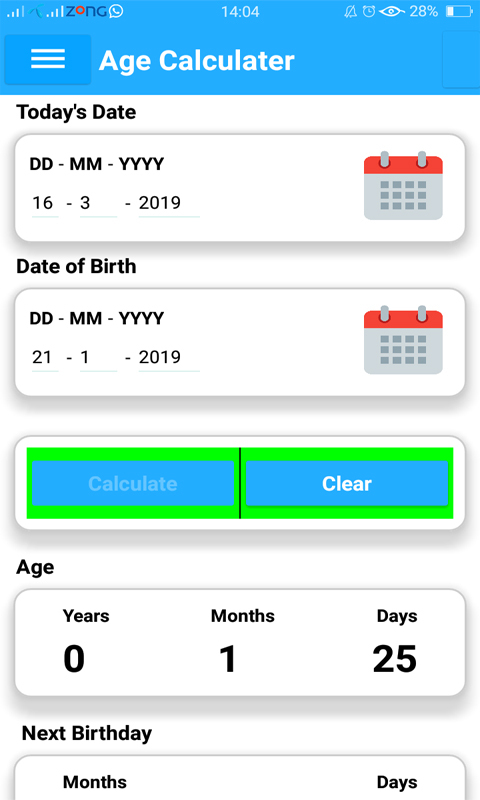 - Share your age with your companions, family and so on. 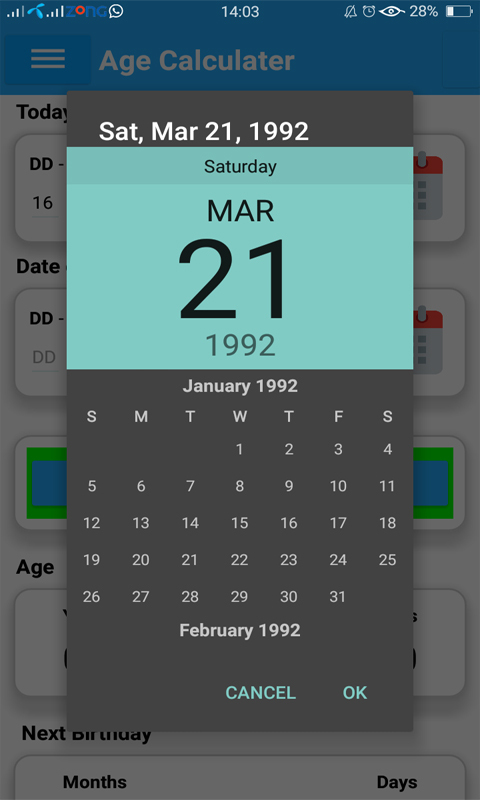 - Multiple date design.